If you are coming to Patagonia, my guesses are that you love the outdoors. 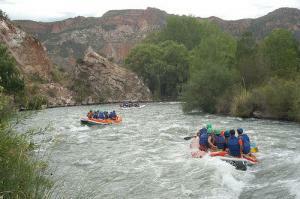 Patagonia has developed a name for extreme outdoor adventure and incredible encounters within the wild flora and fauna. Well the rumors are true, and even more so than words can express. A true understanding of this wondrous escape can only be attained by the real life experience because words alone can’t do it justice. So if you are looking for things to do in Patagonia, we should start in the great outdoors. Of course every part of Patagonia has something a little different to offer but those activities that seem to generate the largest amounts of enthusiasm are skiing, fly fishing, and trekking. If you have your ski legs under ya, you’ll want to head to the Lake District. 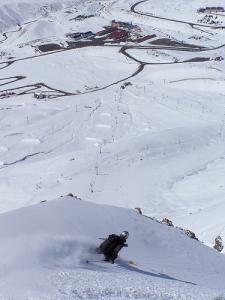 Various ski hills are scattered throughout this area and provide some of Patagonia’s best scenery. Traveling from one slope to the next will allow you to try out a few different ski hills while sight seeing throughout the whole region. The most popular ski hill of Patagonia is Cerro Catedral which sits on the outskirts of Bariloche. To come home with stories and pictures that will make all your friends green with envy, you can’t miss out on Patagonia’s world class fly fishing. 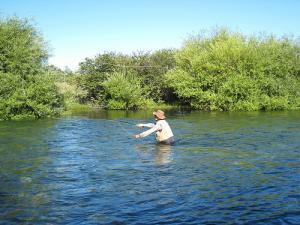 Anglers travel from far and wide to fish in the busy flowing waters of Argentina and they leave with memories to last a life time. The fish are big, and their appetites are even bigger, so you can expect to catch numerous and end the day with the ultimate fishing story. Great fishing can be done all throughout Patagonia; but there are two small towns within the Lake District that receive the most attention from fishermen – Villa La Angostura and Junin de los Andes. Even the street signs in these small towns are shaped as fish and they pull you into their fishy culture. Then there is the trekking. If you really want to get an impression of the intensity of Patagonia, do it from the highest point you can find. 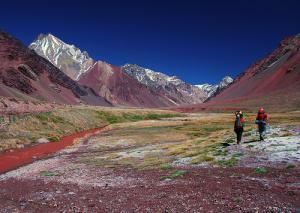 The Andes Mountains provide an unforgettable setting to hike along winding rivers, through lush forests, and up incredible mountains that will leave you awestruck and speechless. After hiking for hours on end you will inevitably come across the hidden beauty of the Andes and be reassured that it was worth every drop of sweat and every step taken that lead you to that spot. Anywhere there are mountains, there are also paths that will lead you to the top of them. Sometimes they will even lead you to a natural hot springs, a sandy lake side beach, or even a shining blue glacier. Check in the local tourist information shops to request trekking information for each specific destination. If you prefer the beach side locations as opposed to the mountains, once again you will never find yourself short of activities. Animal watching and ecotourism are of particular interest in Patagonia’s beach towns where you can see South Right Whales, elephant seals, and even penguins. The nationally protected beaches are beautiful and always full of life – regardless of whether you are catching a tan under the big sun or scuba diving with the creatures out in the deep blue sea. Just about any outdoor activity you can imagine, you’ll be able to find in Patagonia. Rock climbing, horseback riding, white water rafting, golf, paragliding and navigational cruises are just a few other popular activities that are worth looking into. If you do need to take it indoors you will find tango clubs, museums, theatres, art exhibits, and much more along the way as well. To gain a better understanding of what is available in your Patagonia area of interest please see our destination specific pages on Argentina’s Travel Guide. There you will not only read what there is to do, but also contact information, how you can set it up, and our personal recommendations. This page rendered in 0.635 seconds.